It is a skin related disease. In aqua genic pruritus, the skin become itchy and no lesion is seen on the site of itching. This condition appears as a result of contact with water. Mostly this condition occurs after taking shower. The severe and intense itching occurs on the epidermal layer of skin. The word aqua genic means induced by water and pruritus means itching. Some studies show the basic reason behind this water induced itching is when the fibrinolytic activity of the skin increases. Also the activation of sympathetic nervous system is somehow responsible for aqua genic pruritus. The symptoms associated with aquagenic pruritus appear for almost 35 min after onset. The duration of attack reported is from 10min to 2hours. The sensitivity of the patient towards water varies from person to person. 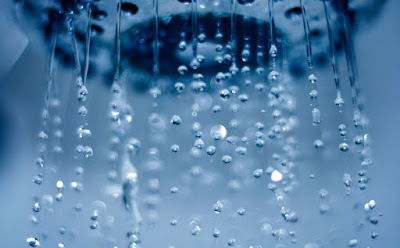 The more sensitive patients living in humid or hot places (having water droplets in air) may suffer from symptoms all the time. The area which is most sensitive to aqua genic pruritus are legs, then arms and then followed by chest, back and abdomen. The least affected areas of body are hips, neck, face and head. Itching is the main symptom of aqua genic pruritus. Mostly the underlying causes of aquagenic pruritus are unknown. It may occur as a result of many diseases named polycythemia Vera, myeloproliferative neoplasms, myelodysplastic syndromes, hypereosinophillic syndrome, juvenile xanthogranuloma, lactose intolerance and last but not the least hepatitis C. The aquagenic pruritus may be induced by drugs. The names of the drugs are clomipramine, bupropion, Hydroxychloroquine and chloroquine. The other causes which can cause aquagenic pruritus may be increased level of histamine circulating in body, increased level of mast cell degranulation, acetylcholine release and when fibrinolytic activity of body increases. These are the food items from the patient may be sensitive to. The products having soy lecithin in them are also prescribed for the patient of aqua genic pruritus (water induced itching). Aqua genic pruritus is a condition reported by many people. And there are many stories related to it. There is a story of a woman states that: she developed a condition of itching normally occurring after when she takes shower or swim. The itching appears within 10 to 15 min after exposure to water and persist for about hours. Extreme itching occurs and no visible signs of any lesion or infection. The doctors reveal that my skin is too much dry and suggest me to use oily food containing omega oils. And provide me a diet plan to follow.